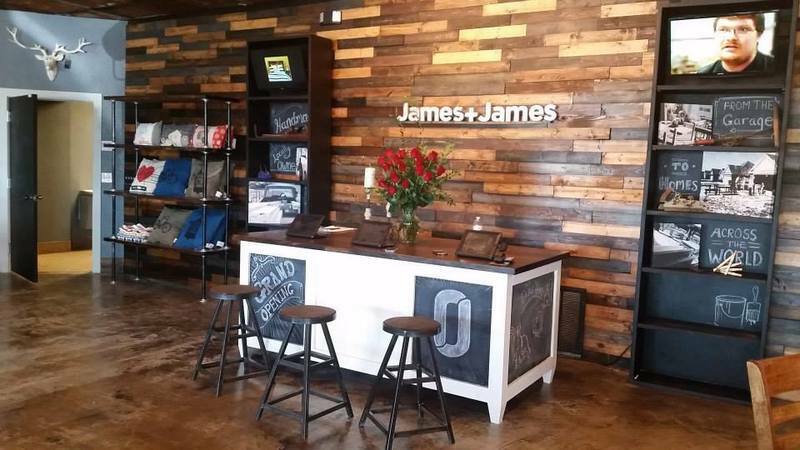 James+James is a garage started, locally owned furniture company. James+James tables and beds are hand-built by a small team of local craftsmen at our shop in Arkansas. We also offer a collection of furniture that we source responsibly and hand-finish onsite. Additionally, we offer a curated selection of decor items, lighting, furniture, and rugs from across the globe. 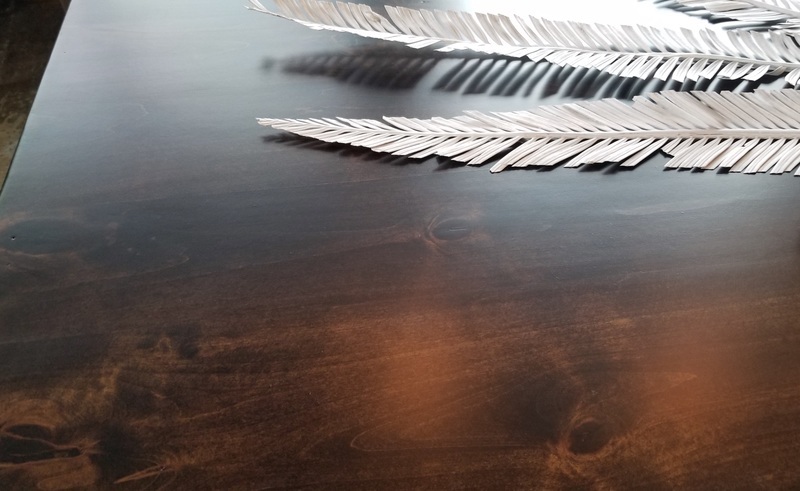 On some of our tabes, we offer the option of a normal jointed top with a smooth surface or a jointed top that has grooves cut into it, to simulate the apperance of a boarded/planked top. This top is jointed and has grooves cut into the top, to simulate the apperance of a boarded/planked top. Still have questions? Please call 479-633-7557, text, email or comment below. We'd love to help! Boarded tops are composed of individual boards. This is traditionally how farm style tables are built. The boards are not glued together and should be expected to expand and contract with changes in humdity. Boarded tops are great for someone that wants a traditional look. Boarded with end caps (also often called bread boards) is a great way to dress up the top. The boards are not glued together and should be expected to expand and contract with changes in humdity. The end caps are not removable and are included in the table's length. This option adds the perpendicular boards to either end of the table. 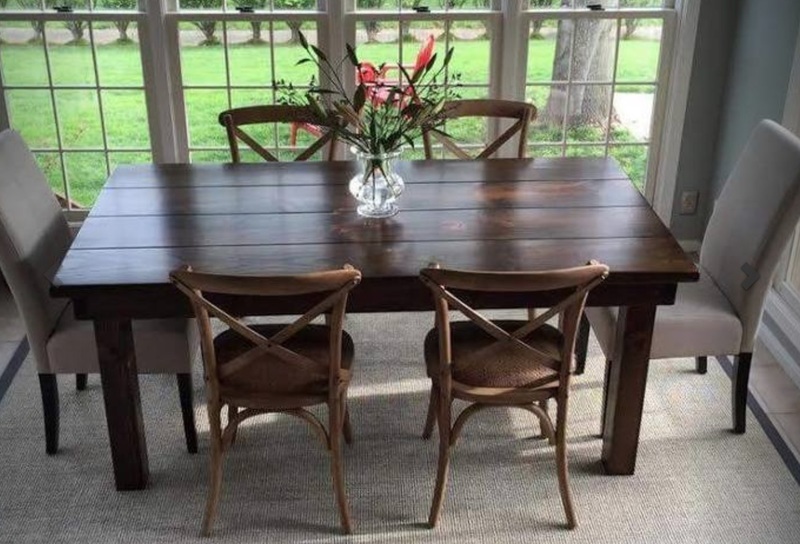 Oil-based polyurethane is a great finish for solid wood furniture. It's hard, durable, and scratch resistant. We also apply it by brush so that our furniture has a bench-built look that you can't achieve with a spray finish - which produces an over-perfect top coat. 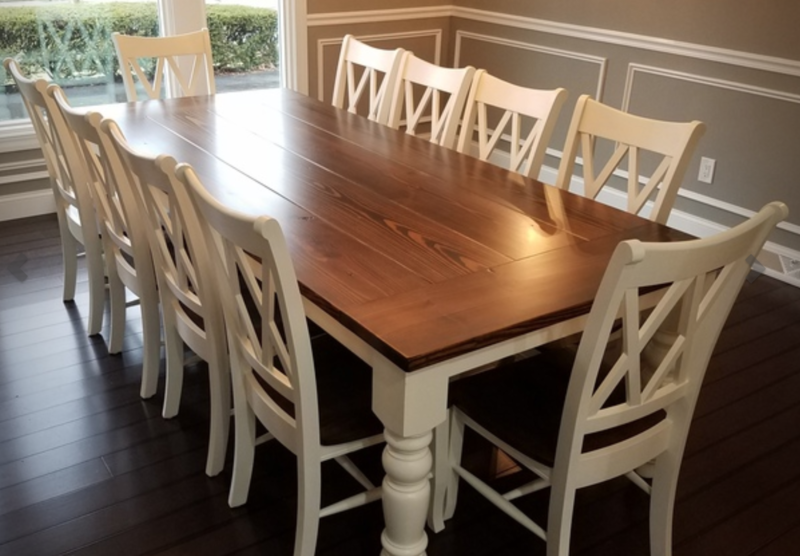 We have a lot of families that homeschool on their tables and they need something that's durable for life and not a finish they have to baby or worry about. 1. You don't have to use coasters. You can leave a glass of ice water on the table in the summer and the condensation won't leave a water ring. 2. Spills wipe right up. Some finishes used on less durable tables would need to be stripped if you spilled something like kool-aid on them. 3. 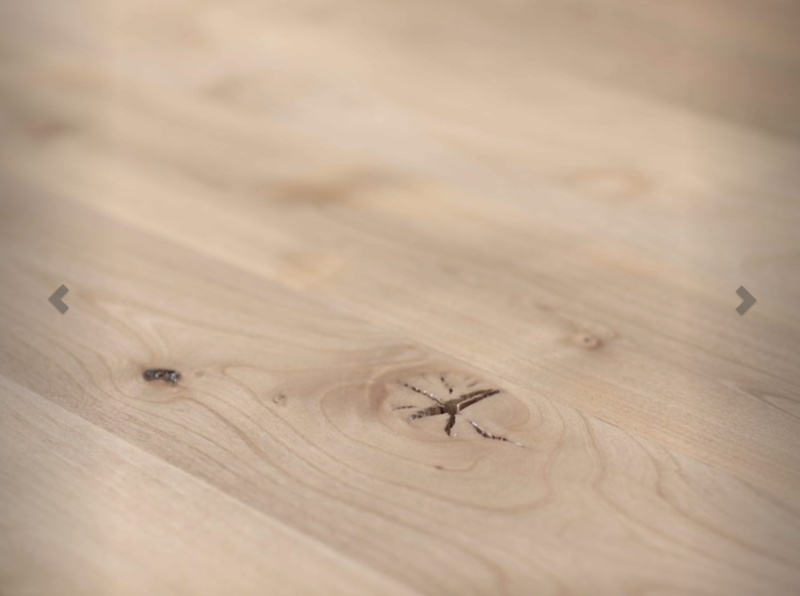 The oil-based polyurethane doesn't need to be reapplied and won't dry out over time like some oil finishes. 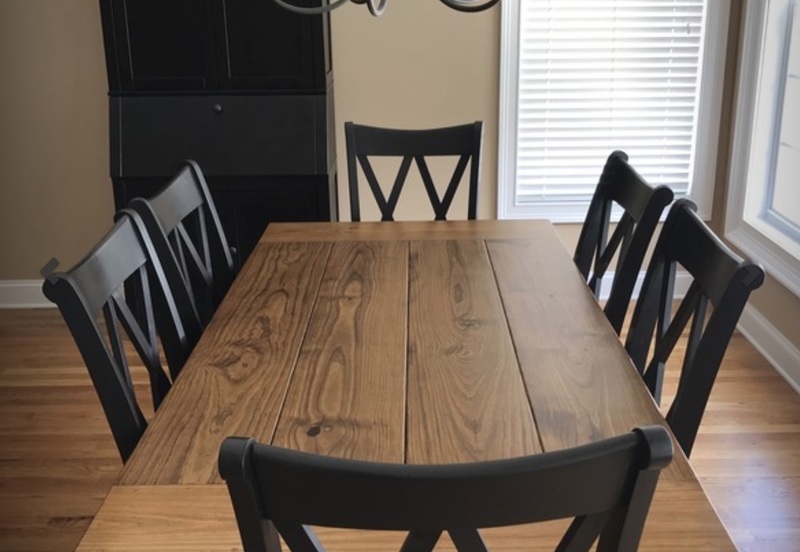 So you've decided on a Baluster Table, but you need help deciding how many chairs you can fit or what length table you need to fit your chairs? Hopefully this write-up will help. If not, please reach out to our team via phone (479-633-7557), text, email or comment below and we'd be happy to help. As a general rule, a 6ft baluster table seats 6, an 8ft baluster seats 8, a 10ft baluster seats 10 etc. but it does depend on your chair widths and other considerations. This blog post may help you with general table sizing. Here's the hard math: With a baluster table the top overhangs approx. 2" on each end and each leg is approx. 5" thick. So if you take the table's length and subtract 14" [2" (overhand) + 5" (leg) + 5" (leg) + 2" (overhand)] you're left with the seating space between the legs. 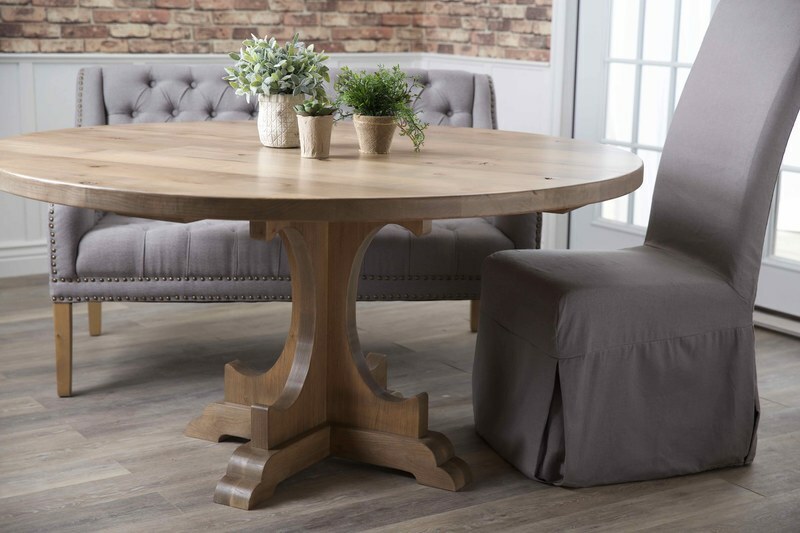 A 72" baluster table, for example, has approx. 58" between the table legs (72" - 14"). 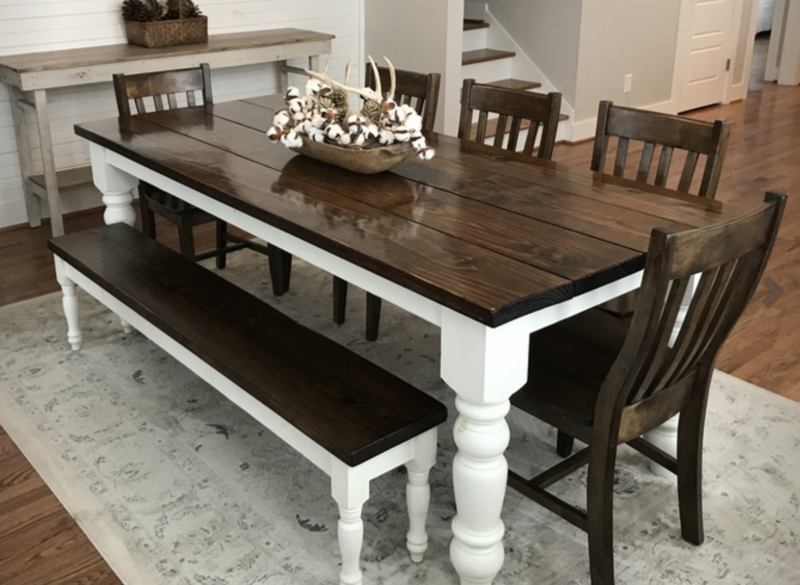 So you've decided on a Farmhouse Table, but you need help deciding how many chairs you can fit or what length table you need to fit your chairs? Hopefully this write-up will help. If not, please reach out to our team via phone (479-633-7557), text, email or comment below and we'd be happy to help. As a general rule, a 6ft famhouse table seats 6, an 8ft farmhouse seats 8, a 10ft farmhouse seats 10 etc. but it does depend on your chair widths and other considerations. 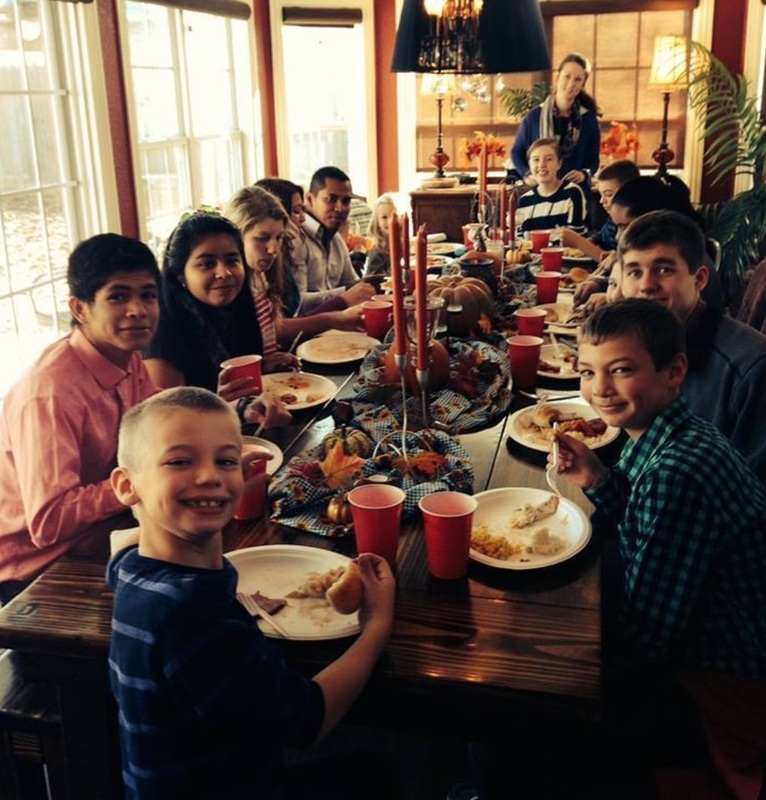 This blog post may help you with general table sizing. What Does Filled Knots Mean? What Does Filled Knots Mean? Great question! As you've probably noticed, we offer the option on most table product pages for filled knots. We build all of our tables with solid, real wood. Which has natural and real knots. Some people love the look of the natural open knots on the top of the table, but others would rather have those knots on the top of the table filled. 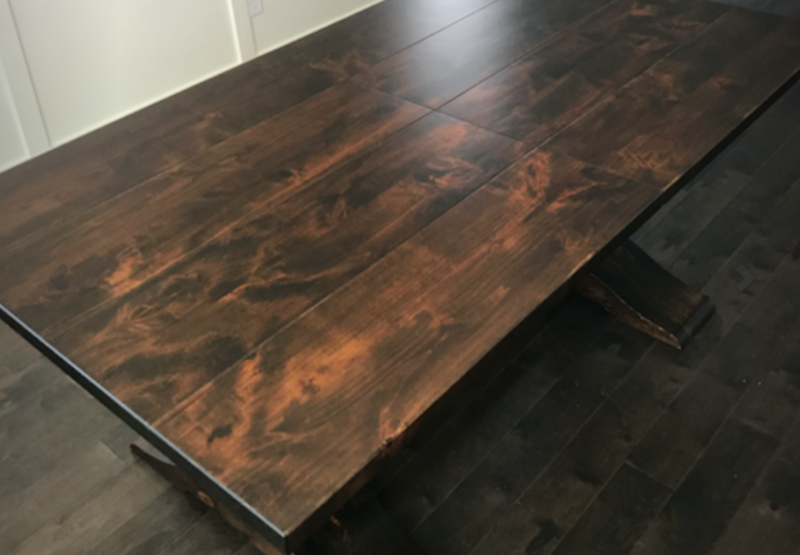 If you select "filled knots" we'll fill any open knot holes on the top of the table with a clear epoxy, so you'll still be able to see the beatiful knots in the wood, but you won't have an open knot hole on the table top. 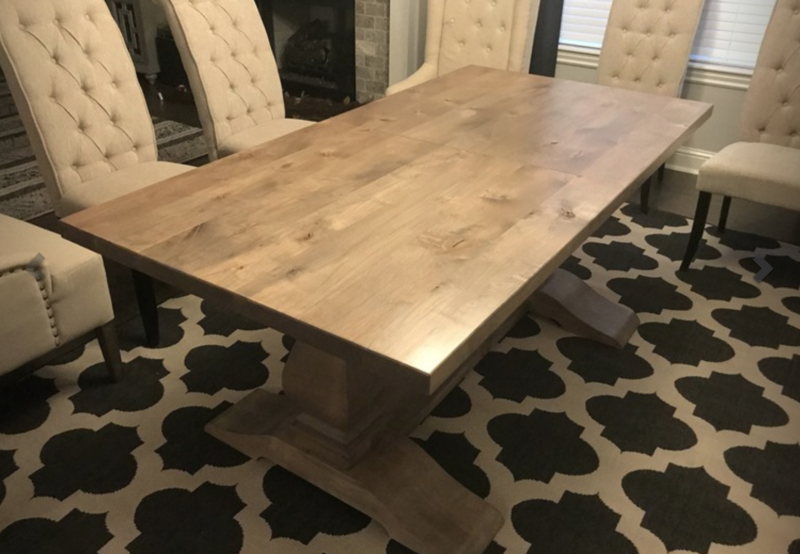 How Do You Buy A Custom Table Online? 2. 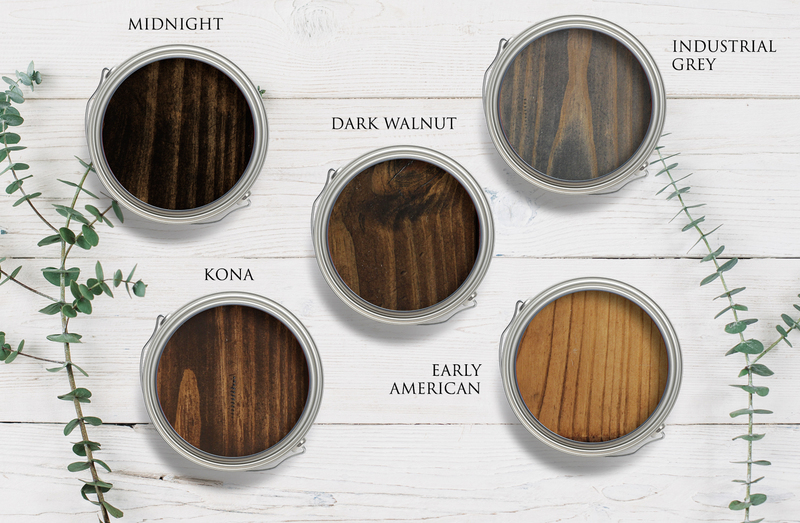 Select The Right Style of Table: Which look/table style is best for your home? 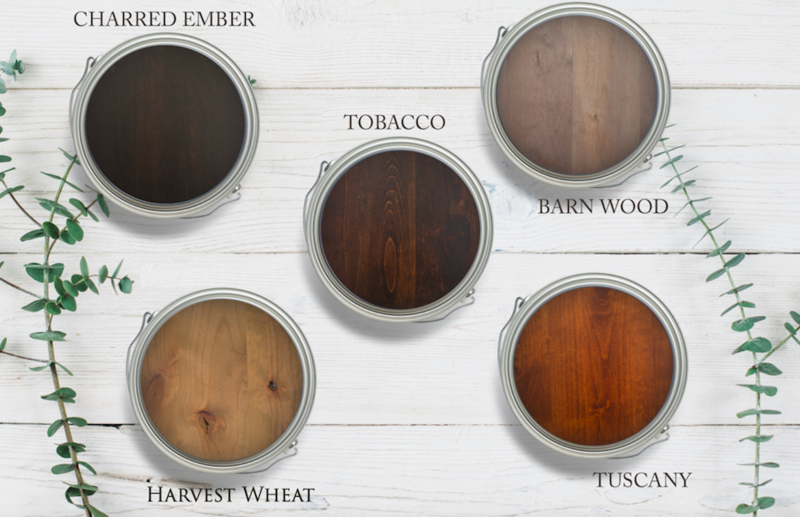 Selecting the right wood finish for your space can feel daunting. You want to get it right. You probably already have floor colors, wall colors, cabinet colors to contend with. We have hundreds of pictures from past customers in our gallery. If you’re going back and forth between stain options, we reccomend ordering a stain sample or two. You can also return them for a refund less postage. Our design consultants see hundreds of spaces each year and would love to help you. We’d love to hear about what you’re working to accomplish with your space, look at pictures of your room, and provide finish reccomendations. Simply give us a call 479-633-7557 or email us james@carpenterjames.com.